Eye cataract: A clouding of the lens of the eye. The normally clear aspirin-sized lens of the eye starts to become cloudy. The result is much like smearing grease over the lens of a camera. It impairs normal vision. 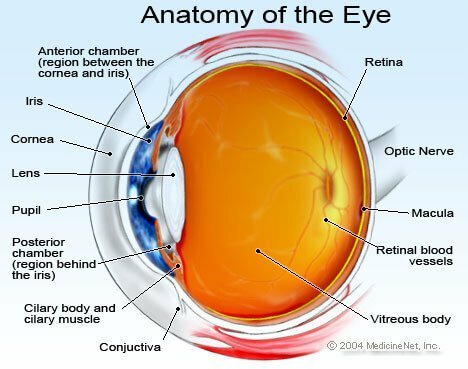 There are many causes of cataracts including cortisone medication, trauma, diabetes, many other diseases and simply aging. Cataracts will affect almost all people if they are fortunate enough to live long enough. The symptoms of cataracts include double or blurred vision and unusual sensitivity to light and glare. Cataracts can be diagnosed when the doctor examines the eyes with a viewing instrument. The ideal treatment for cataracts is surgical implantation of a new synthetic lens after removing the natural cloudy lens. Wearing sunglasses can help prevent cataracts.